The folks over at Chiphell forums are at it again – another new rumor about an upcoming graphics card and AMD Radeon this time. According to the source, the company is launching the 12nm version of Polaris (dubbed Polaris 30 if the general naming conventions are followed). This should just be a more power efficient of the Polaris chip and is slated to launch sometime next week. Needless to say, because of the fact we haven’t heard anything else on this so far (apart from roadmap leaks) its best to take this with a grain of salt and has been tagged as a rumor. While the source in question is Chiphell, most of what they are saying does fit in with the general narrative of AMD and what we have previously heard – which is why it warranted a post. AMD has also hinted that they will be releasing a product every quarter and since Navi is not going to be landing this quarter, this seems to be the perfect pit stop for AMD to take a breather at. 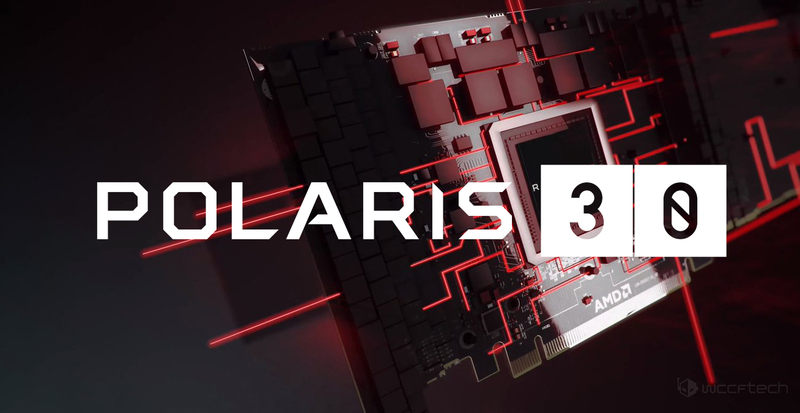 The Polaris 30 GPU is going to be a refresh of the Polaris 20 part which was launched in 2017. AMD Polaris 30 will be based on the 12nm FinFET process and you can expect a 10-15% performance increase from the process upgrade and slightly higher clocks. It’s worth keeping in mind that 12nm FinFET is essentially just an enhanced version of 16nm FF and not an entirely new node in itself (that would be 7nm). AMD will not be rolling out its 7nm Vega 20 GPU (which won’t be coming to the gaming market anyway) until the 12nm refresh lineup is launched so it fits in there as well. According to the source, the GPU lineup could be launched as soon as next month by AMD. I doubt we will see a lot of fanfare about it and it is even possible that AMD quietly refreshes the RX 500 series on the OEM side. It is unclear what the nomenclature would be of such a series – RX 600 seems to be the next logical step but it could easily be something else entirely and at this point, we are deep in speculation territory so I will leave it at that. As for why this series wasn’t on AMD’s roadmap – there is a very easy explanation for that. Polaris 20 lineup wasn’t on the roadmap either – till it was suddenly refreshed in 2017. So the fact that the Polaris 30 GPU family is not present on AMD’s roadmap doesn’t really take any credibility away from this rumor considering the company’s past actions. Polaris 30 would allow the company to tighten its foothold in the budget segment as well as the mobility side with more power efficient (and cheaper!) GPUs. It is sort of ironic how AMD’s philosophy is the exact opposite of NVIDIA. We fully expect the Polaris 30 lineup to be slightly faster but also slightly cheaper than the already cheaper RX 500 series making it ideal for entrants to PC gaming and/or gamers on a budget that can’t afford to spend an arm and a leg on a PC build. The companies’ RX 500 lineup represents a strong but slow burn and a foothold for the company – which it really should focus on retaining till it can get Navi into the hands of gamers by 2019. What do you think of this rumor? Is Polaris 30 coming soon? Yes - and it will be the RX 600 series. Yes - and it will be called something else. Who cares - give me Navi!